Lauren is an American-born Canadian-International professional soccer player and model. Lauren has been a professional soccer player for the last 5 years, playing with the Canadian National Team and in the Women’s Professional Soccer Leagues in the USA. She has had the opportunity to play all around the world at the highest level of performance and competitiveness. 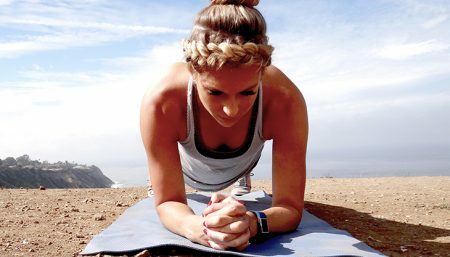 Fitness is her life, and after being awarded at the London Summer Olympics, she felt incredibly inspired to share her very own training techniques to help others achieve their fitness goals! Lauren has had an amazing career, besides her phenomenal performance at The London Summer Olympics, she’s a Gold Medal winner at the Pan American Games in Guadalajara , Mexico in 2011. Lauren grew up in Green Bay, WI. She excelled in basketball and soccer at Notre Dame Academy, winning 2001 state championship in basketball after an undefeated season. Lauren has set six soccer records as well as earned All-Big Ten, All-Regional, and All-American honors at Purdue University from 2001-2006. 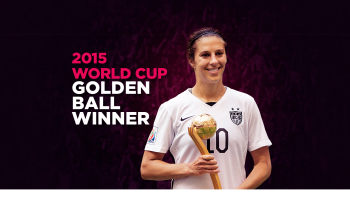 In 2013, she was drafted by FC Kansas City in the National Women’s Soccer League and was named to “Best 11” 2nd team. She then joined the Canadian national team in 2011. Since her father is a Canadian, Lauren acquired citizenship in 2010. The team won gold medal at the 2011 Pan American Games and bronze medal at 2012 Summer Olympics. She is currently playing for Canada’s National Women’s Soccer Team and Houston Dash in the NWSL. Lauren Sesselmann is an exceptionally talented and accomplished International Professional Soccer Player, Model and Entrepreneur. She is in conversation with Namita Nayyar, President – Women Fitness. Ms. Namita Nayyar: You were born in Green Bay and have been a professional soccer player since the last five years, playing with the Canadian National Team and in the Women’s Professional Soccer Leagues in the USA. You had the opportunity to play all around the world at the highest level of performance and competitiveness. 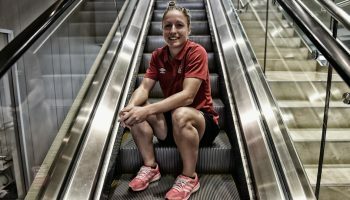 You reached the pinnacle of success on winning an Olympic bronze medal with Canada at the London 2012 Women’s Olympic Football Tournament and a Gold medal at the Pan American Games in Guadalajara , Mexico in 2011. What factors you consider were responsible that made you achieve that? Ms. Lauren Sesselmann: I have been extremely blessed with such an incredible career, but I don’t think I would be so successful if not for my underdog mentality and for my numerous “knockdowns”. My first 3 years in the pros (WPS) were a big learning for me…I worked so hard but was never given a chance to shine early on, I was told I wasn’t good enough, strong enough, fast enough, everything you can imagine I was told that. Everyone seemed to focus solely on the negatives instead of the positives of what I brought to the table. I lost a lot of belief in myself and my abilities for a brief moment and thought maybe I really am not that good enough. I remember chatting with my parents who I owe so much to, about the possibility of giving it up and they told me “If you want it bad enough keep on going until you get your shot.” I took their words and I sat down and created a vision/goal board and wrote out each milestone I wanted to reach. I decided to reach out to Canada, sent them game tape and told them to keep an eye on me, that summer when I was with the Atlanta Beat I was given a chance to play, joined Canada, and from there on out the rest is history. If it wasn’t for these “knock-downs” I don’t think I would be where I am today and lucky for me I was brought up that hard work is rewarded and when I woke up every day I was going to be better than I was the day before.